The team behind the world’s first video game for social and emotional learning has been hailed the not-for-profit technology innovator of the year. Cathy Kirwan, research manager at Strategic Grants with Holyoake CEO Angie Paskevicius. Holyoake, a Western Australian not-for-profit which developed the social enterprise DRUMBEAT, was recognised for their computer game DRUMBEAT Quest at the Australian Not-For-Profit Technology Awards on Thursday. The awards, now in their second year, were hosted by Connecting Up and recognised the best in technology innovation and service excellence by organisations and individuals in the Australian not-for-profit sector. Holyoake CEO Angie Paskevicius told Pro Bono News, it was “vital to think outside the box” to achieve more effective outcomes. “I believe we cannot achieve different results by doing the same things over and over,” Paskevicius said. “We developed DRUMBEAT Quest because we were keen to engage young people through a medium they love – gaming. It is a modern and innovative way for educators and counsellors to engage young people more effectively. DRUMBEAT Quest is a unique computer game designed to empower students with the knowledge and skills to build healthy and supportive relationships, make informed decisions, and take responsibility for their actions based on an understanding of self and social awareness. Paskevicius said the team was very excited to win the award. “It recognises Holyoake’s commitment to use technology to achieve greater social impact,” Paskevicius said. “DRUMBEAT Quest is one of the many innovative programs that the Holyoake team has developed over the years. The awards celebrated finalists and winners across six categories. The Social Media Campaign of the Year was awarded to Melanoma Patients Australia for its digital advertising campaign, Melanoma Likes Me. 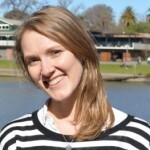 As part of the campaign, an online persona was created for Melanoma, making it possible for the skin cancer Instagram account and Twitter account to like, follow and comment on the social media activity of young Australians spending time in the sun and send tailored messages about melanoma prevention and treatment. The Asylum Seeker Resource Centre also received a commendation award in this category for piloting a neo-telethon on World Refugee Day which raised more than $225,000. The Using Technology to Connect to the Community Award – Best Government Agency was received by the National Disability Insurance Agency. The Not-For-Profit Technology Lifetime Service Award, which recognised and celebrated the outstanding commitment and service by an individual working in a technology-related role in the not-for-profit sector over a significant period of time, went to Australian Seniors Computer Clubs Association (ASCCA) volunteer president and founder Nan Bosler OAM. The Technology Volunteer of the Year winner was Damian Marken, a volunteer at Compassionate Friends Victoria which supports parents and siblings following the death of a child. For the Using Technology to Connect to the Community Award – Best Small/Medium Enterprise (SME) there were two finalists, Evolve IT Australia and Vollie. But a winner was not selected by the judges. Connecting Up CEO Anne Gawen said the opportunity to host the awards was both “a pleasure and a privilege” and was Connecting Up’s way of supporting the sector. 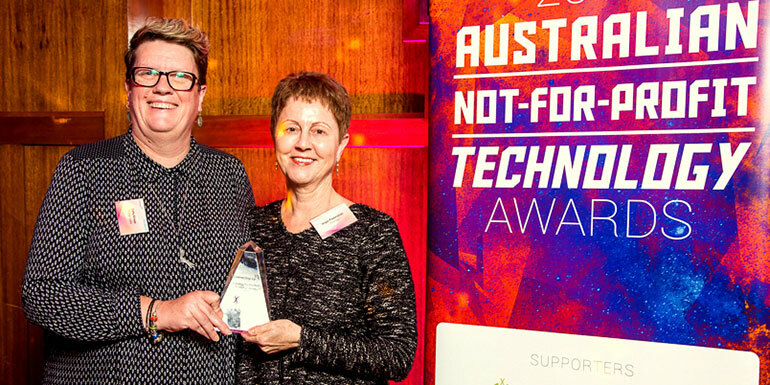 Mel Yates, director of reporting and red tape reduction at the Australian Charities and Not-for-profits Commission (ACNC) who gave a presentation at the awards, told Pro Bono News technology was key to good governance and sustainability. “Technology’s role in helping charities and NFPs fulfil their missions and work with communities is vital to the ongoing sustainability of this sector in the digital world we all operate within,” Yates said. “The ACNC is committed to supporting a robust, vibrant, independent and innovative NFP sector, and therefore we support recognition of the sector’s efforts in the digital and technology space. Yates said technology innovation was also essential to help not for profits cope with digital exclusion. “For NFPs, this digital exclusion can be a double-edged sword,” Yates said. “Not only can the organisations themselves lack the most up-to-date IT infrastructure, but the very communities they are trying to serve are often digitally excluded. “For individuals, digital exclusion may not only mean being behind in having the latest hardware. It can also mean lacking the necessary digital confidence, knowledge or education in being able to access digital services. “Digital innovation means that previously unattainable digital resources are now being made available to our NFPs – and their beneficiaries – quicker, cheaper and more accessible.